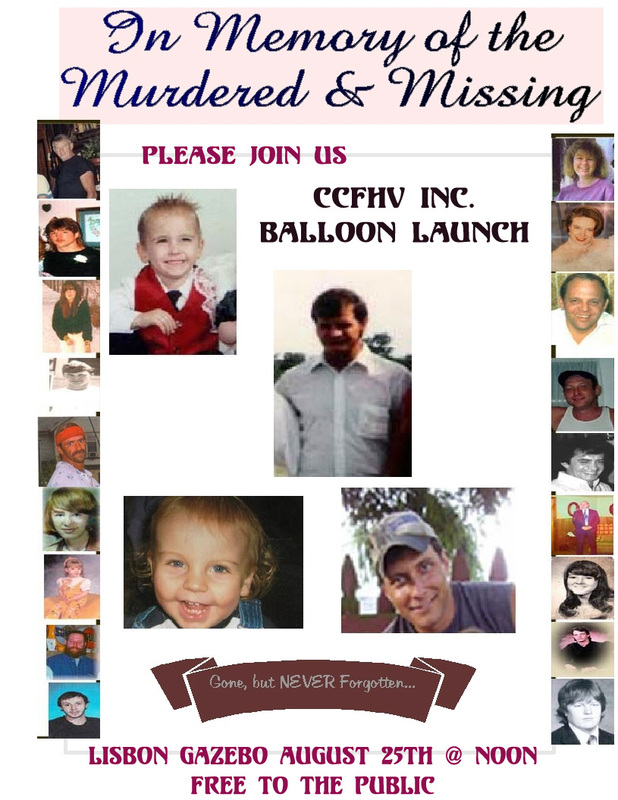 Please join us on Thursday, August 25th at noon @ the gazebo in Lisbon for our yearly tribute to the murdered and missing. The families need your support. The balloons will be provided and it is a "family friendly" event. Bring your family and support our families! I now live in Maine, however my heart is in East Liverpool.. what are these police afraid of? Politics, thats what they are afraid of? Families with broken hearts & feelings of no closier, even if we find out who & why, there is no closier we still miss our loved ones.